Details on the "P5S" teaser website reveal, including a rumor of a Nintendo Switch port of Persona 5. A new website, P5S.jp, was launched yesterday detailing a new game project for Persona 5. 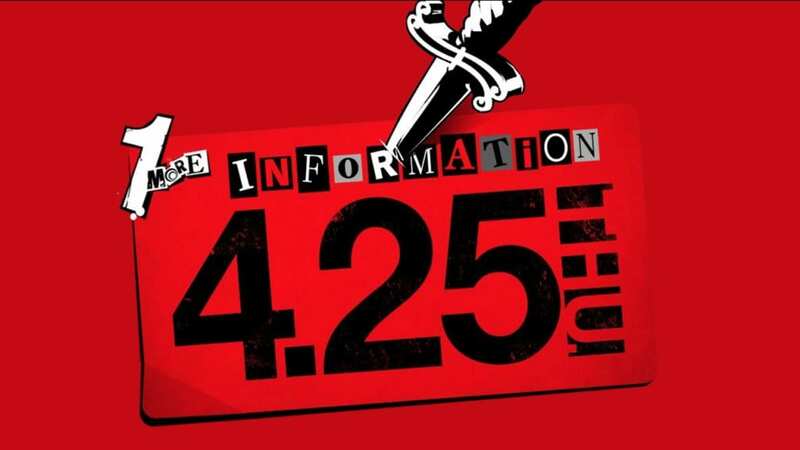 The website teased “1 More Information 4.25 THU” which precedes the scheduled information on Persona 5 The Royal on April 25th. Both announcements are to be revealed in the incoming “Persona Super Live P-Sound Street 2019: Welcome to No. Q Theater!” concert at the Ryougoku Kokugikan in Tokyo, Japan. In addition, a Best Buy product listing was found online which details a possible Persona 5 Nintendo Switch version launch. Best Buy is also involved with Joker’s Super Smash Bros. Ultimate render leak through their website’s weekly ad. For more Persona 5 game news and guides, check out our Persona 5 page!